Alan Ewart catches up with Rou Reynolds and Rob Rolfe from Enter Shikari to talk politics, nuclear weapons and their links to Enter Shikari’s music. We even found time to discuss Donald Trump and Jeremy Corbyn. 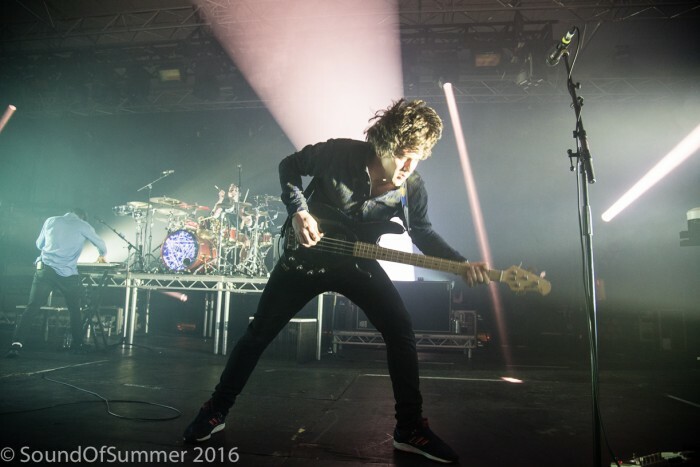 Enter Shikari recently completed the UK leg of their biggest headline tour to date. 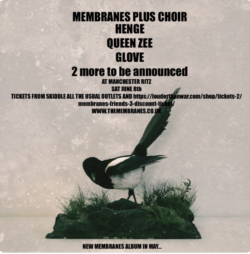 With venues like Nottingham’s Motorpoint Arena and London’s Alexandra Palace on the agenda it is a massive step-up for a band who remain resolutely independent. We caught up with the boys prior to the Nottingham gig to delve a little deeper into what makes the band tick. As I arrived for the interview I found the guys hard at work in the dressing room. Rou Reynolds was huddled over his laptop reprogramming some of the lighting and graphics for tonights show. It’s clear that Enter Shikari are perfectionists and the band are on record as saying that they intend to make every show the best one ever. Things go wrong when you are bringing stadium quality lighting and sound into an Arena show and on this tour Enter Shikari have complicated things still further by introducing true surround sound as a feature of the show. In my experience every interview has its comedy moment and on this occasion it came before we even started to talk. As Rou was busy programming and Chris was nowhere to be seen I sat down with guitarist Rory Clewlow and drummer Rob Rolfe. As I took my coat off Rob noticed that my shirt carried a quote from the late great Tony Benn. Rob commented that he was a fan of Tony’s and had been since he saw him talk at a conference on political spin in the media when he was just 16-years-old. I said that I wanted to talk about the political message in a lot of Enter Shikari’s songs. With that Rory jumped up and went to fetch Rou as he said that Reynolds writes all the lyrics so you are better talking to him. 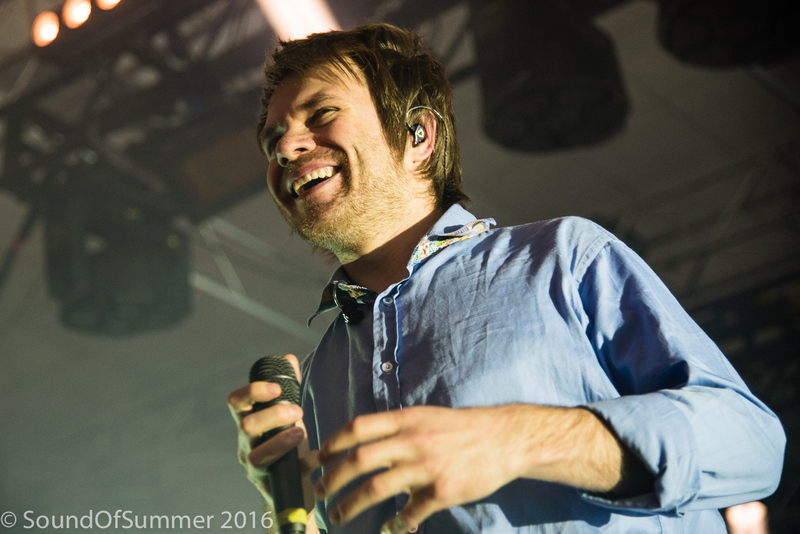 I hadn’t met Rou before as he had been ill the last time I interviewed Enter Shikari. Off stage Rou is a gentle and thoughtful man, quick to smile and charming to chat to. So much so that it was clear that both he and Rob would happily have chatted all day. I explained that I wanted to talk about the macro political content of Enter Shikari’s music, especially over the last couple of albums. We started out by talking about the exploitation of resources and climate change, topics that Reynolds takes on with alacrity in songs like Arguing With Thermometers. I asked why they thought that there is a reluctance in the UK to move into make money from renewables as the opportunities are certainly there right now. The subject turned to the frightening prospect of Donald Trump becoming US president. Rou doesn’t think that Trump can get elected but recognises that he “may have too much faith in people” but he hopes that the American people will see through a man that many see as a cheat and a liar. The recent Channel 4 documentary on Trump shows that he was expelled from school for bullying and was a proper mama’s boy when he got sent to a military school. I asked if the boys thought the money that is earmarked to replace Trident could be better spent elsewhere? Rou admitted that they would be joining the anti-nuclear rally in Trafalgar square prior to their London show the following Saturday. I explained that I had a sense from Flash Flood Of Colour through Mindsweep to the most recent single release “Redshift” that Enter Shikari’s music had moved from threat to a post-apocalyptic vision. 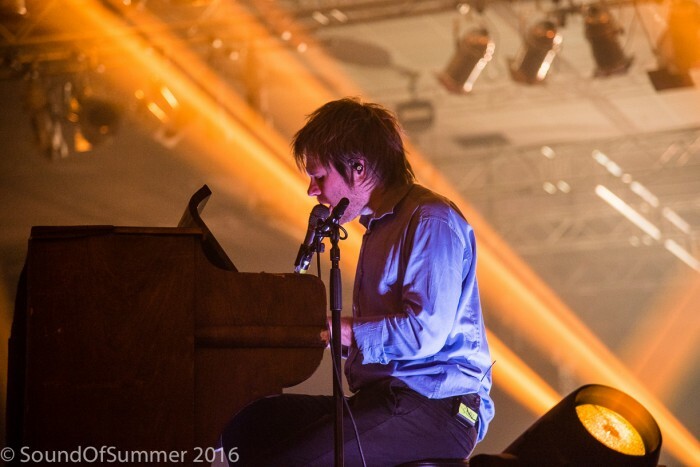 I wrapped up by asking how the acoustic gig they held for a small number of friends and fans in an unused theatre at Alexandra Palace had come about and whether it might lead to an Enter Shikari unplugged album. With that thought in our minds we decided that it was time to wrap up and let Enter Shikari finish their preparation for a show that was to blow me away a couple of hours later. You can read my review of the show here.